Belagavi airport recorded the total number of passengers who departed and arrived in 2016-17 was 1,03,823 as against 1,35,355 in 2015-16 with a -23.3% growth. Bangalore Mirror has made the particular story. According to the Ministry of Civil Aviation, the Belagavi, Hubballi, Mangaluru and Mysuru airports incurred losses over the last four years. Recently the Belagavi airport terminal has been upgraded and commissioned presently has two flights to Bengaluru and one each to Mumbai and Chennai. Please call out for other airlines to. just one airline is nor sufficent nor cheap for people out there. 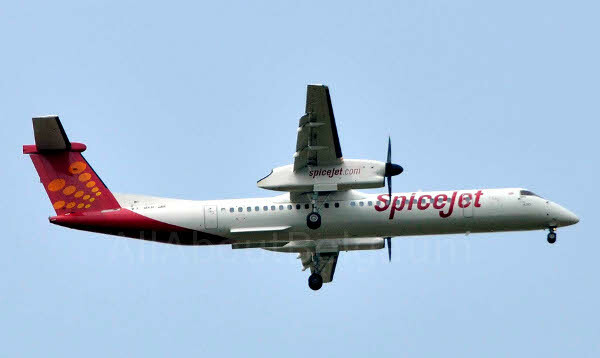 connect GOA’s domestic flights to Belagavi it would be cheap and connected all around the country many will prefer Please Please Please think about it. If possible please share people’s view with the airport authority. Its indeed n very much needed. THERE ARE ONLY TWO FLIGHTS PER DAY- ONE TO MUMBAI AND ONE TO BANGALORE. SO TOTAL OUTGOING PASSENGERS WILL BE 2flights x78 seating capacityx365 days =56940 PASSENGERS AND IF WE CONSIDER INCOMING PASSENGERS OF 56940 NO ,SO TOTAL MAX PASSENGERS TRAVELLED WILL BE 113880. AS AGAINST 113880, TOTAL PASSENGERS TRAVELLED ARE 103823. IT MEANS 91% OCCUPANCY, WHICH IS VERY GOOD COMPARED TO ODD TIMINGS OF BOTH THE FLIGHTS. With more flights and destinations added there is going to be more growth for sure. This drop is because of price increase..
During 2015-16, flying to Chennai was costing 1500inr, now it’s 4500. Is it because the airport was closed for some time for expansion works. ?